Starbucks Slip and Fall Results in $7.5 Million Civil Lawsuit - A trip to a Starbucks turned treacherous when a man slipped and fell in the store, leaving him with a brain injury. After purchasing a drink, the man fell while walking across a freshly mopped area of tile. Personal Injury Lawsuits Filed by Philadelphia Building Collapse Victims - Personal injury lawsuits have been filed by surviving victims in a Salvation Army store collapse at the corner of 22nd and Market streets in Center City, Philadelphia on June 5, 2013. Indianapolis Settles Brandon Johnson Personal Injury Lawsuit for $150K - Three years after the public outcry over police brutality in the Brandon Johnson case, the City of Indianapolis has settled a personal injury lawsuit filed by his mother for $150,000. Staten Island Accident Victim Gets $2M Personal Injury Settlement - Nine years after being seriously injured and disabled in a vehicle accident involving slippery ice, Staten Island resident Christopher Litrell Jr. has been awarded $2 million in a personal injury settlement. Lassen Park Destroyed Evidence in Personal Injury Case - A federal court judge has found Lassen Volcanic National Park in California deliberately destroyed evidence in a case where the park is facing personal injury and wrongful death claims. Kendall County Facing Personal Injury Lawsuit for Deputy’s Off-Duty Fight - Anger over delay at a Walmart checkout counter in Oswego, IL has resulted in a federal personal injury lawsuit against Kendall County and a Kendall County Sheriff’s deputy who pulled out his gun during the altercation. Disney Facing Personal Injury Lawsuit for WDW Jungle Cruise Mishap - A woman from Valrico, who was injured on a Walt Disney World ride in Orlando, has filed a personal injury lawsuit against Disney. MSU Fraternity Facing Personal Injury Lawsuit for Throwing Water Balloon - The Missouri Epsilon Chapter of the Phi Delta Theta fraternity is facing a personal injury lawsuit because of an injury caused to a student by a water balloon that was allegedly thrown by three of its members. Chimp Attack Victim Charla Nash Gets $4 Million Settlement - Charla Nash, who was brutally attacked by a chimpanzee, has won a $4 million personal injury lawsuit settlement from the estate of the chimp’s owner. $1.57M Personal Injury and Wrongful Death Settlement in Ohio Firefighter Accident Case - On July 16, 2010, 24-year old law student Ian Huffman of Elmore, Ohio and his 20-year old girlfriend Olivia Duty went out for dinner in Port Clinton. Afterwards, they went to Sandusky to see some friends. Disabled Victim on Wheelchair Gets $1.2M Personal Injury Settlement - A disabled cerebral palsy patient in Norwich, CT, whose wheelchair rolled off a walkway at a local business establishment, has won a $1.2 million personal injury settlement. Madison, NJ Ex-Cop Gets $600,000 PTSD Personal Injury Settlement - Anthony Kaspereen, a former police patrolman in Madison, NJ has won a $600,000 personal injury settlement for what he claims resulted in his Post Traumatic Stress Disorder (PTSD). Personal Injury Lawsuit Against Little League Player - Elizabeth Lloyd, age 45 and a New Jersey resident, filed suit against a little league baseball player who threw a ball that ended up hitting her in the face. Tractor-Trailer Accident Victims Get $26.1 Million Personal Injury Settlement - In what is reportedly one of the biggest personal injury settlements in Pennsylvania, a family that suffered death and injuries after being rear-ended by a tractor trailer received a $26.1 million settlement. Defendant Faces Personal Injury Lawsuit for Texting to Driver - A judge in New Jersey is going to have to decide on a groundbreaking personal injury lawsuit where the person who sent a text message to the driver responsible for the accident is a co-defendant. Personal Injury Settlement for $425,000 - Two female east King County School District bus drivers agreed to settle their employee harassment lawsuit against the school district out of court for $425,000. Blind Joggers Facing Personal Injury Lawsuit - Top Canadian Paralympians Jon and Jason Dunkerley, both blind since birth, are facing a personal injury claim for colliding into another jogger on a morning run along Ottawa’s Rideau Canal in 2010. Bus Drivers Sue in Personal Injury Lawsuit - Two female bus drivers were just awarded $425,000 in a personal injury settlement after they sued the school district they worked for. Small Plane Crashes in New Jersey - Five people are dead after a small airplane crashed on Tuesday morning in New Jersey. Nine-Year-Old Boy Hit and Killed By Daycare Bus - A claim has now been filed on behalf of the brother of a nine-year-old child that died after being hit by a daycare bus last week. Las Vegas Helicopter Accident Claims the Lives of Five People - A helicopter taking tourists on a tour of the Las Vegas Strip and Hoover Dam collided into a mountainside Wednesday, killing the pilot and the four tourists on board, according to federal authorities. John Henry Recovers After A Minor Yachting Accident - John Henry, Liverpool principal owner is recovering from a minor yachting accident will have been boosted by the club’s triumph in today’s Merseyside derby. Oil Rig Safety after Deep Horizon Accident - Figuratively and literally speaking, there is a race to the bottom in the oil industry. Have you been injured in accident due the negligence of another? 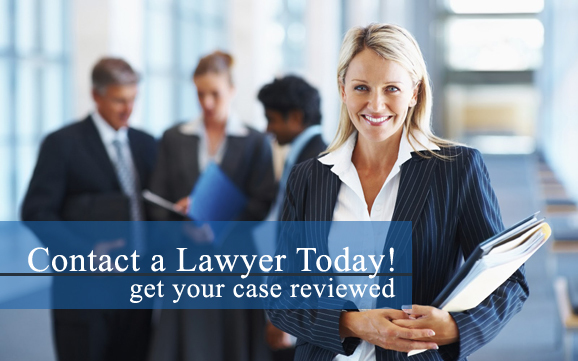 If so, contact a personal injury attorney in your area to discuss your legal options today.